4 High Quality Solid Capacitors for reliable and safe power delivery.Riser kits are the top of the line solution for setting up Ethereum mining rigs (or any other GPU-mined altcoin), whether small open air rigs or large rack based miners, and securing your investment. 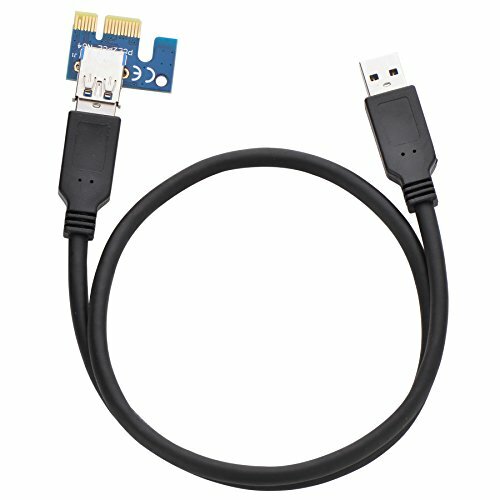 60cm USB 3.0 extender cable enabling flexibility in the placement of your PCI-E devices. Fixable board with 4 holes available on PCI-E 16X side to fix PCI-E 16X connector to motherboard for more convenient management for graphics card.